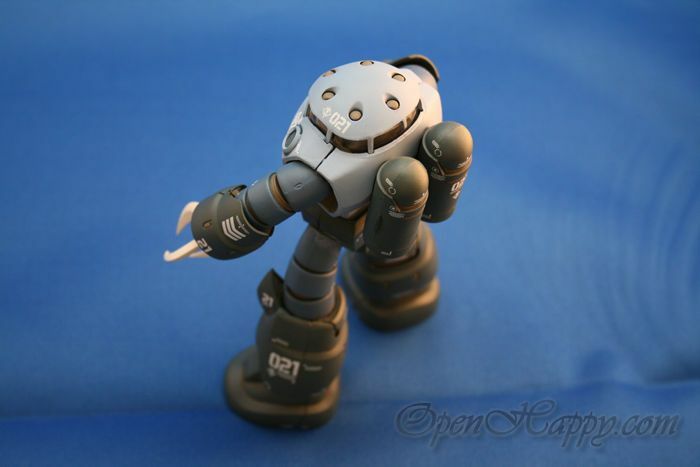 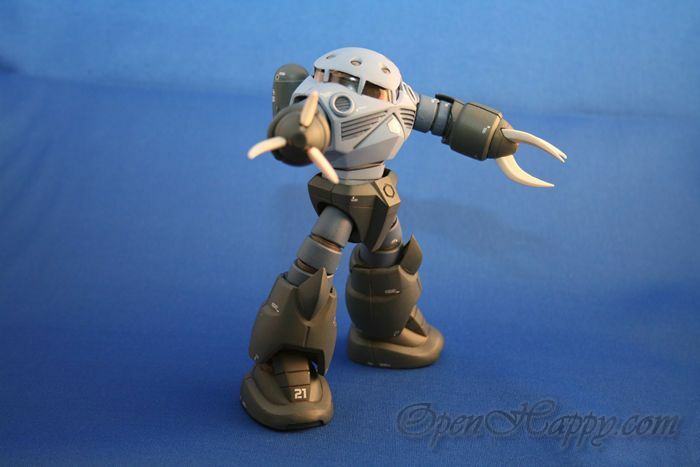 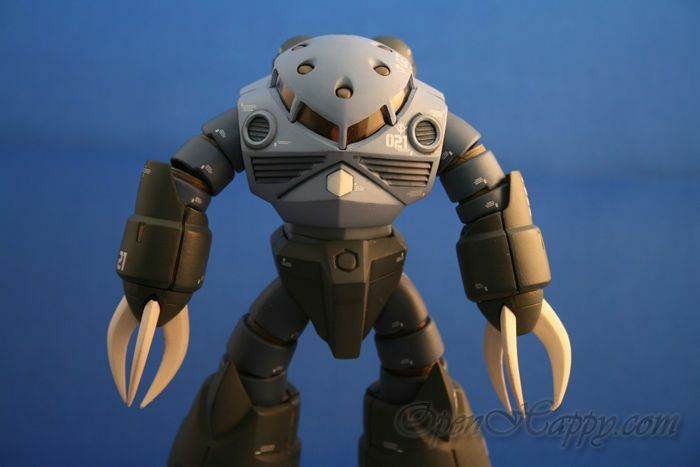 Developed by MIP Company, the Z'Gok was Zeon's first truly successful amphibious mobile suit. 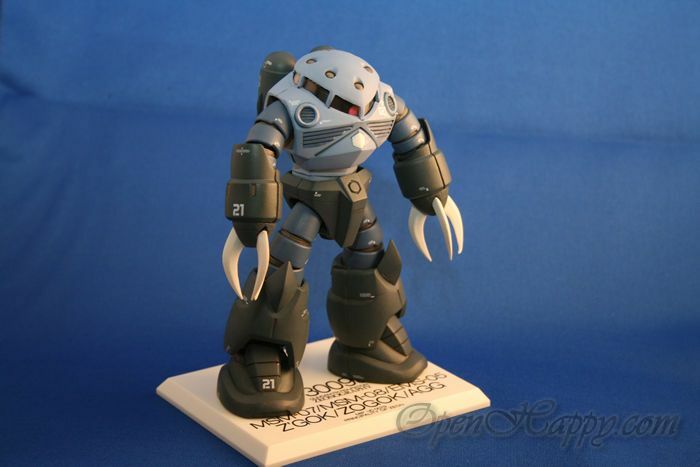 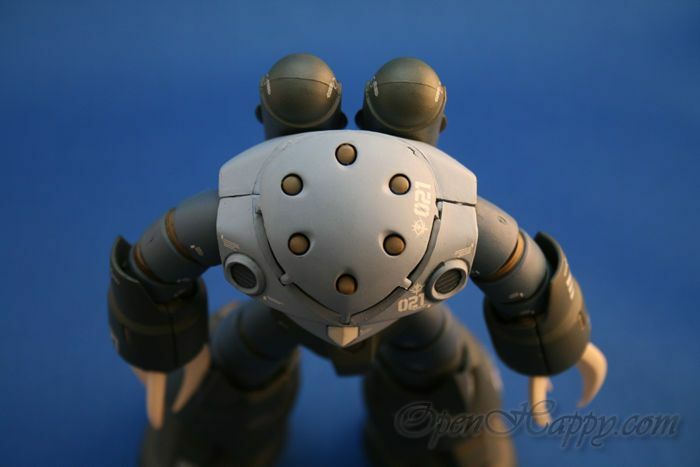 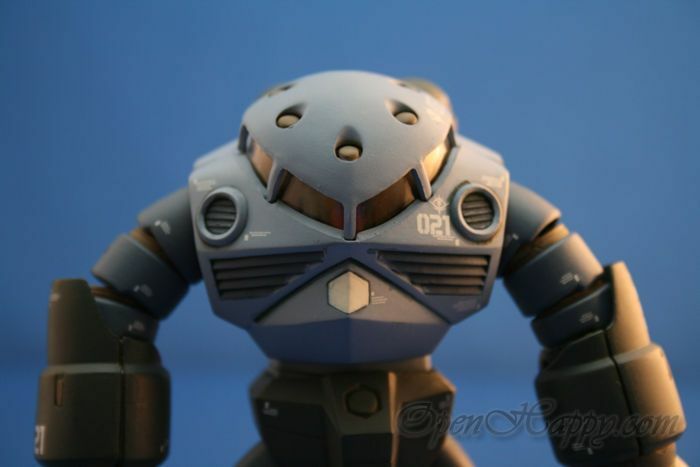 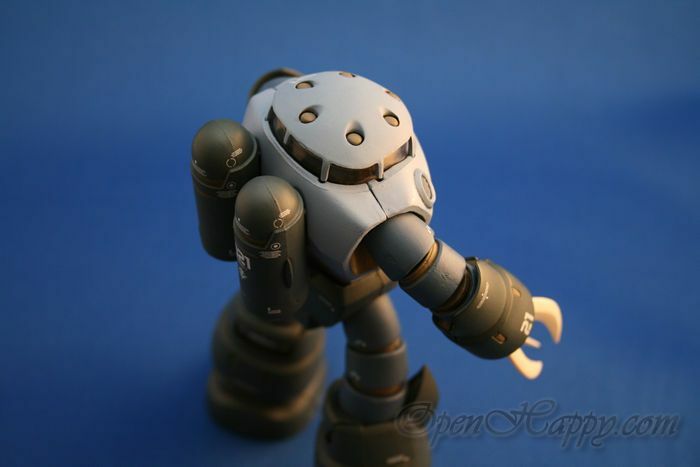 The Z'Gok was more agile and faster in both on water and on land compared to the MSM-03 Gogg and MSM-04 Acguy. 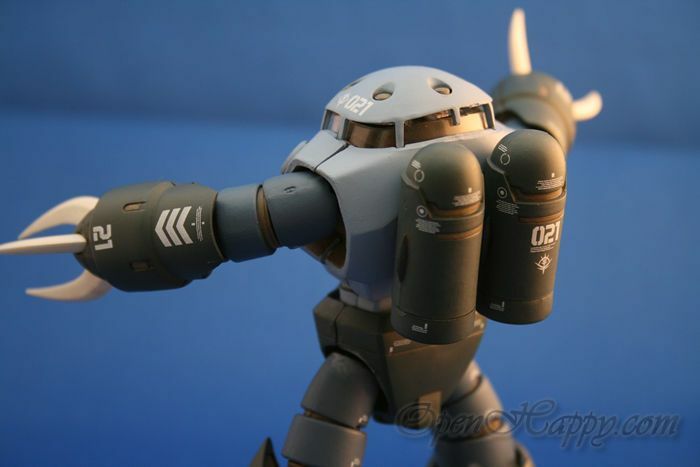 The reason for its agility was an air-cooled fan system, replacing its predecessors' ballast water tanks for cooling. 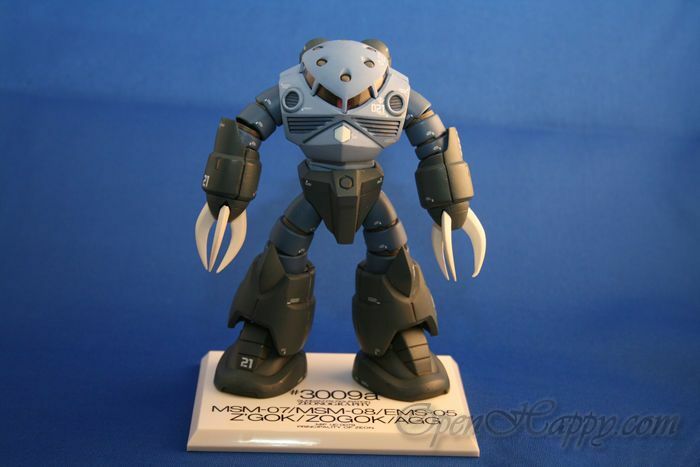 The Z'Gok also had mega particle cannons fixed on its claw hands which allowed for easier aiming. 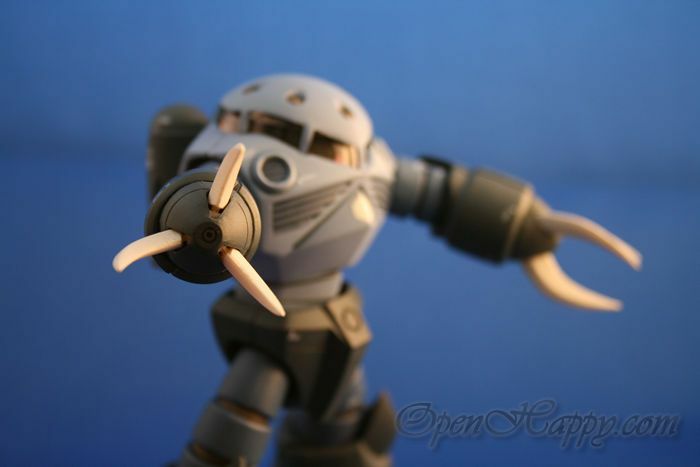 These shots are taken with my new photo light box. 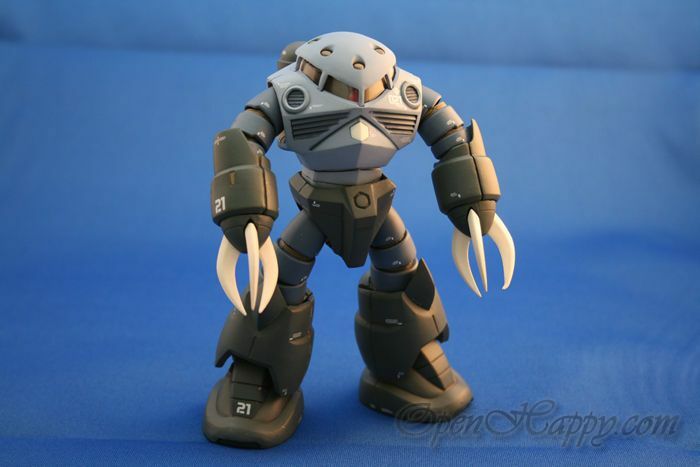 $20 from ebay. 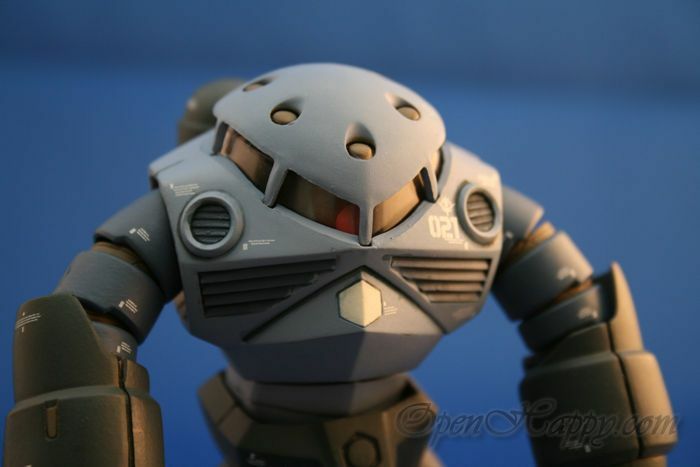 Can probably improve the background with different texture papers, etc.